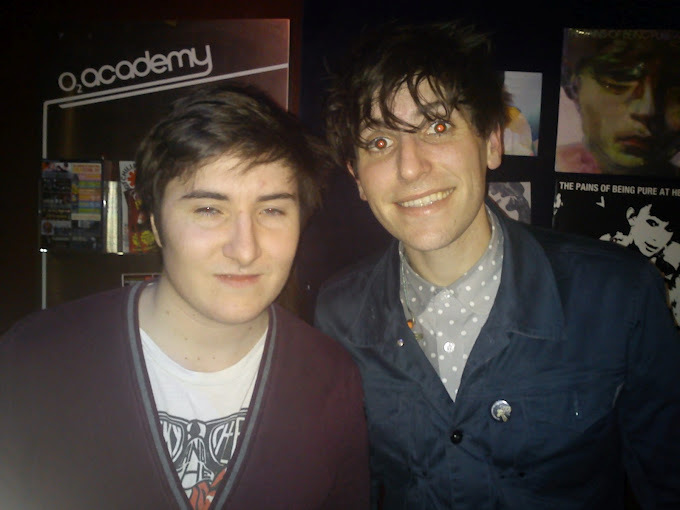 Congratulations to Flatmate Tom who managed to steal a photo with lead singer/guitarist Kip, of The Pains of Being Pure at Heart. I am not overflowing with jealousy as I am focusing on your non-existant eyes. Ha! Hahaha. Flatmate Tom: "Farran [other flatmate] caught it just as I was blinking which makes it so ridiculous. My eyes aren't that small!" For evidence of how small Flatmate Tom's eyes actually are, please redirect to my twitter where you will find an all new definition for the word 'squint'.